Every Tuesday at 6.45pm in The Club with Luke, we speak to our toy expert, Toyologist Pete! So make sure you tune in to find out about the coolest toys around right now. And check out our list of favourite racing cars below! 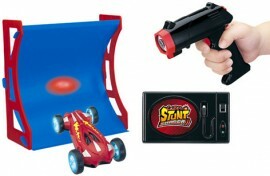 Grab your handheld, slick on the laser and the high sped car will follow the light across the room at blistering speeds. 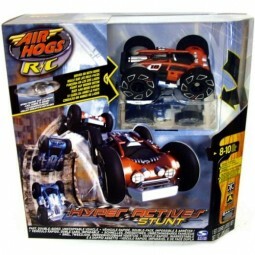 In the stunt chaser range are sets like the double roll turbo jump and a cyclone force accessory that’ll really impress your friends, one sends your car into the air at high speed the other spinning around frantically inside a see through cone. It may be small but can travel at scale speeds of 770k, make your own ramps and watch this amazing car go. A small see through hood means whatever side you land on it’ll always end up on its wheels. 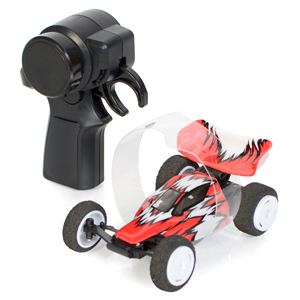 Its controlled via wireless so you can race up to ten of these together at once. 3-2-1 Go! Another very fast car and capable of amazing stunts, spins and jumps, flip, jump, 360 degree spins and insane speeds! This double sided vehicle drives on both sides no matter which side it lands. Also has a turbo button for quick bursts of extra speed. The VaporizR from Nikko RC’s is, quite simply, superb. On land it’s not the speediest car around but can take on almost any rough surface. Whizz it around near a pond and and take it in for a dip, this two-motored RC will happily swim around on the surface under your full control – Ace. You’ll need to be a bit more patient here as you have to build this one from all the Meccano bits, when it is finished though it is an impressive machine. When you’re bored or fancy a re-build it can be reconstructed into another different racing machine using the same parts. 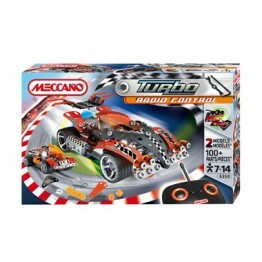 Brilliant for budding mechanics! 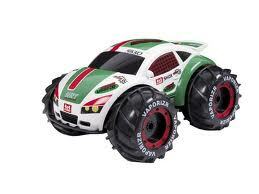 Next Tuesday tune in to The Club with Luke to hear about more exciting toys!